CONTRACTORFIND.co.za™ is proud to showcase only the best, registered and certified Palisade Fencing Contractors in Bloemfontein. Need qualified Palisade Fencing Contractors for the job? CONTRACTORFIND.co.za™ is the place to find them! All the listed Palisade Fencing Contractors below have been screened and certified, ensuring that their service and quality is the best in Bloemfontein. Find the top Palisade Fencing Contractors in Bloemfontein now. 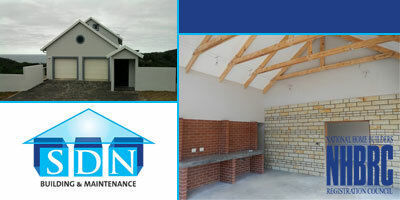 SDN Building & Maintenance is a Bloemfontein based construction company specialising in all types of services relating to the building and home renovation industry as well as commercial and residential projects. SDN Building & Maintenance offers full turnkey construction services and prides itself on integrity, honesty, and attention to detail whilst always ensuring that the highest quality and workmanship is displayed at all times.